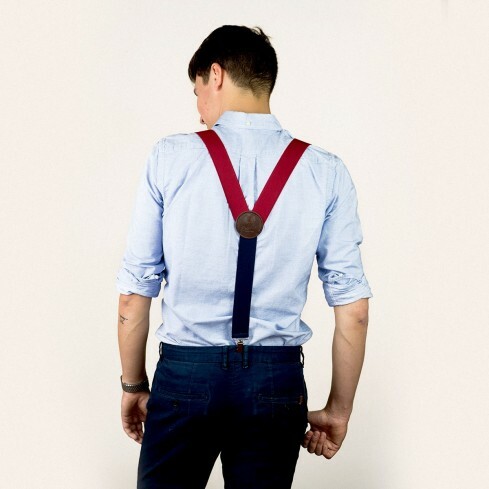 These red Bertelles braces/suspenders will add a splash of colour – and a dash of joy and humour – to any outfit. Attractive and comfortable in equal measure, this pair is designed with the adventurous gentleman in mind. The red elasticated strap with contrasting navy back portion – 120 cm long and 35 mm wide – is made in Belgium. 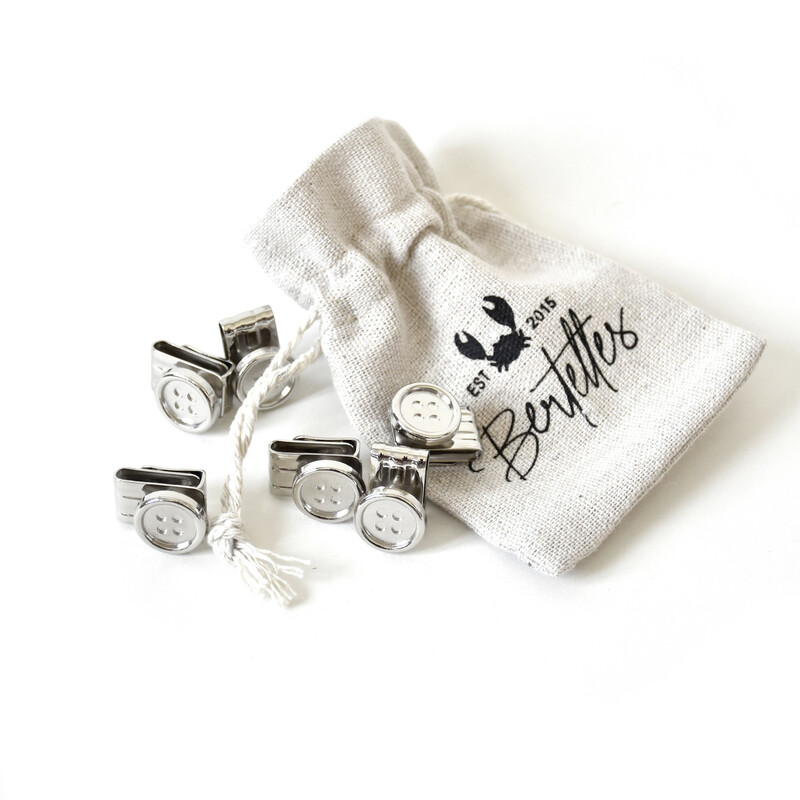 The metal clips at the ends, meanwhile, attach effortlessly to any style of trouser. But the real stand-out detail is the badge on the back embossed with the famous “Bertelles, since 2015” crab logo. These braces/suspenders will be your loyal servant for many, many years to come.